During the eight years 1979-1987, Simon was the show’s anchorman and packager for 2,000 daily shows. “Wonder World!” won various prestigious awards including five Logies for television excellence. Simon migrated to the USA in 1969. In 1970 he was an associate editor in the newsletter division of the publishers McGraw Hill, New York. Later he worked as the United Nations correspondent for the famous wire service United Press International. He wrote a “believe-it-or-not” style comic that appeared in “Women’s Weekly” and then “New Idea” in the late 70s. He’s anchored 2UE-3AW talkback, done midnight-to-dawn talkback on 2UE and produced 2GB breakfasts for David Koch. Though he can’t sing Simon put out an album of novelty songs, singing one track himself (The 1910 Fruit Gum Company’s hit, “Simon Says”). The vinyl LP recording sold 3,000 copies. At one point in his varied business career, Simon was half-owner of a television station. He invested in VEW-8, Kalgoorlie, WA, then Australia’s smallest TV station (one camera, four staff and less than 95,000 potential viewers). He founded the bookshop Bestsellers™. Simon sometimes made news. In 1978 he sneaked into Buckingham Palace and wrote an article about this adventure in the old “National Times”. He made headlines when his airliner hit a volcanic ash cloud over the Indian Ocean in 1982 and all four engines stopped. “Simon victim of Phantom Freeloader” screamed a headline when Simon was the victim of a strange thief who would move into Simon’s weekender Mondays to Fridays and eat and drink to his heart’s content, evading police time after time. Simon announced a TV series on the life of PM Bob Hawke. And he was on the front page when a sniper threatened to kill him and “Woodrow” if he opened an RSPCA event. Simon lived at Gladesville, Sydney, with his late wife Rosanna and their children Michael (now 34) and Nadia (now 33) from 1980 until 1998. Mike is a marketing manager and Nadia is an actress in movies, TV series, commercials and stage plays, and in a Nicholas Cage movie “The Knowing” 2009. In 1998 Simon and Rosanna bought a city apartment. After moving out of the big family home they had loved for 20 years, they turned it into a rental property. Following a mild stroke, Simon changed the way he eats and walks, and is recovered and well . . . and 30 kilos lighter. His late father was, and his two brothers are, journalists. In 1971 Simon was a sub-editor on “The Weekend Australian” and one of his jobs was editing a children’s page. He was so entranced with the quality and volume of the children’s own poems, stories and drawings he saw each week, that Simon started a national children’s newspaper “Zoot” in 1972. In 1973 Simon sold out of “Zoot” and got his first break into television as a reporter on the original “A Current Affair” hosted by Mike Willesee. 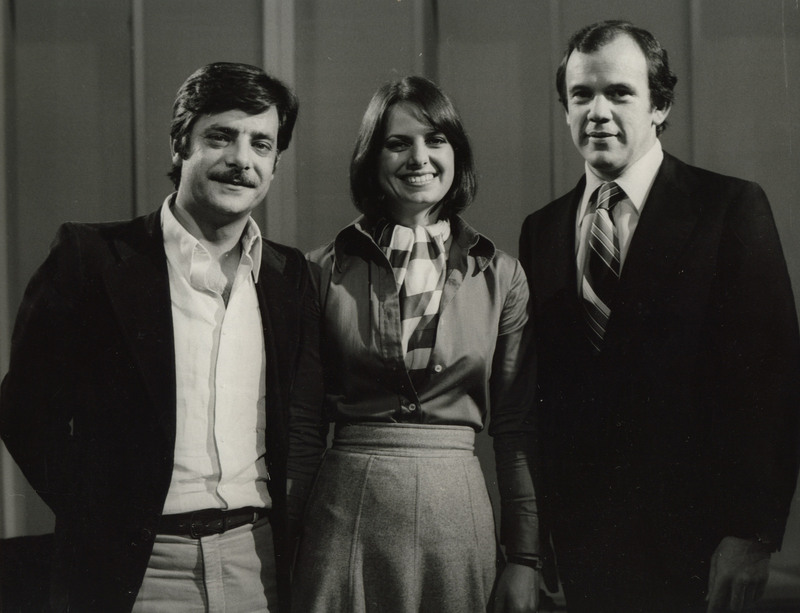 In the days of black-and-white 16mm film, Simon’s fellow reporters were Steve Raymond, Tony Ward, Judy Lynne and Paul Hogan. Simon married Willesee’s secretary Rosanna. Twenty years later in 1993, Mike was back at the desk at “A Current Affair” and his protégé Simon Townsend was up against Willesee in the 6.30pm timeslot. Simon was hosting another of his ideas, “TVTV” on ABC-TV. Simon was a reporter and producer on ABC-TV’s “This Day Tonight” in 1975 when Iain Finlay was that famous current affairs show’s final compere. Simon was associate producer to the legendary “60 Minutes” producer Gerald Stone, on a uranium documentary in 1977. Simon was John Laws’s 2UW producer and writer all of 1978. He also scripted Laws’s Mediawatch segments in “A Current Affair” during 1978. Simon worked for Willesee several times, producing and writing various TV talk shows and magazine format TV shows. He was a writer and ideas man for famous Sydney radio stars Steve Raymond and Bob Rogers in the 1970s. After “Zoot” and “A Current Affair”, Simon in 1974 combined his two experiences of producing quality entertainment for young people and of fast-moving daily current affairs . 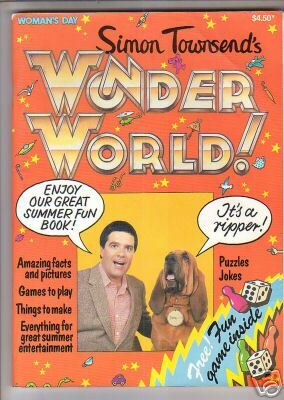 . . and he conceived “Simon Townsend’s Wonder World!” In 1974 and 1977 Simon made pilots of “Wonder World!”, but it wasn’t until 1979 that the Ten Network bought the show from Simon’s production company. It went on to its successful eight-year run in every market across Australia. The show dominated the afternoon ratings for most of its life. It was so popular that for a two-year period an old show and a new show ran back-to-back every afternoon. 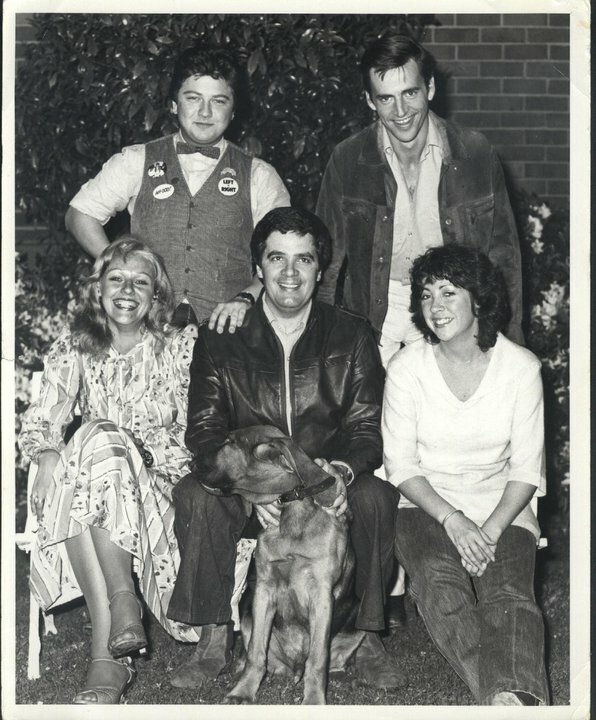 Simon’s famous companion for those eight years was his family pet, “Woodrow” the Bloodhound (died 1986). Simon’s reporters included Angela Catterns, Edith Bliss, Phillip Tanner, Wednesday Kennedy, Maurice Parker, Brett Clements and Jonathan Coleman. “Wonder World!” also gave first breaks to many directors, cinematographers, editors and other TV professionals, including Andrew Lesnie who won an Academy Award™ for cinematography for the first Lord of the Rings movie. In late 2000 Simon was one of the surprises when Jonathan Coleman was guest of honor on “This Is Your Life” shot in London. At age 42, after “Wonder World!” closed in 1987, Simon retired for a few years. He designed and built a sandstone mansion in bushland in the lower Hunter Valley, NSW, using stone and timber from his own land. In the property-crash of 1989 Simon was a failed developer of luxury mansions on Sydney’s north shore, and Simon went broke. During 1990 he was the TV critic on Terry Willesee’s “Live At Five” on Nine. In 1991 he was TV critic for Ray Martin on “Midday”. These experiences gave him the idea for “TVTV”. 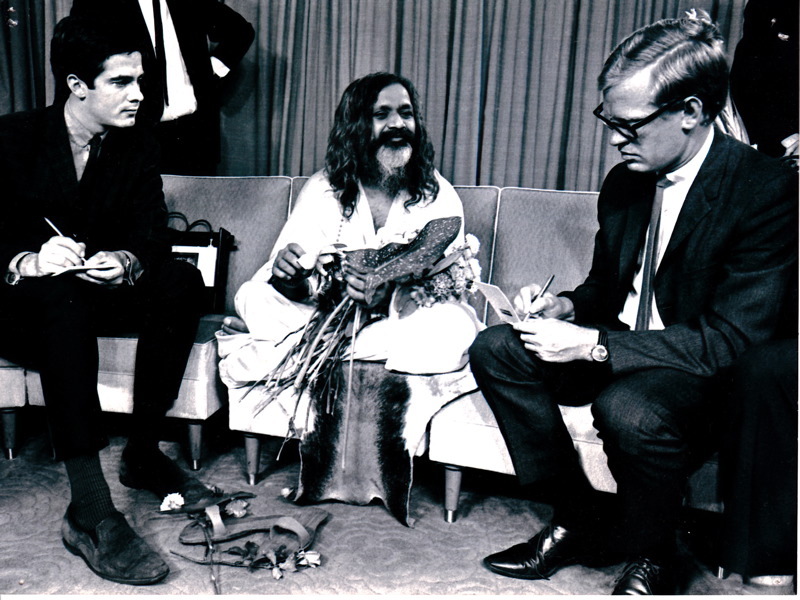 A publicised anti-Vietnam War campaigner and conscription resister in the 1960s, Simon was jailed twice for his opposition: 32 days in Long Bay Jail in 1967 and 28 days in an army prison, Holdsworthy, in 1968 including three days in solitary on bread and water during which a lot of news coverage evolved. When Gorton Cabinet papers were released in 1999, Simon was delighted to learn that he had been such a thorn in the government’s side that discussing him had taken up Cabinet time on four occasions in 1968. Never missing an opportunity to be a freelancer, Simon wrote articles about prisons following his own imprisonments. In 1992 Simon and the 24-year-old daughter he had never met until then, told their reunion story in “Women’s Weekly” and on Ray Martin’s “Midday” show. In 1993 the Post Adoption Resource Centre made awards to Simon and his actress daughter Lisbeth Kennelly, now 41, for their work in re-uniting birth parents and adopted children. “Chance And Coincidence” was the name of a two-hour special for the Seven Network, devised and produced by Simon and aired in 1992. The show told stories of amazing chance events and incredible coincidences, and was the world’s first TV show to offer a million dollar cash prize. In 1993 Simon sold his idea of a television show about television to the ABC, with himself as host. “TVTV” went to air in the week’s hardest timeslot, 6.30 weeknights. In August 1993 Simon left and sold the production to the ABC with a continuing royalty to himself. He collected a royalty fee for “TVTV”. He also collected royalties for format rights to the Nine Network’s new “Wonder World!”, produced by two of his former reporters, Brett Clements and Phillip Tanner. Inventing games is one of Simon’s passions. It started with “Zoot” and inventing silly fun games that appeared as centre-spreads in his children’s newspaper. 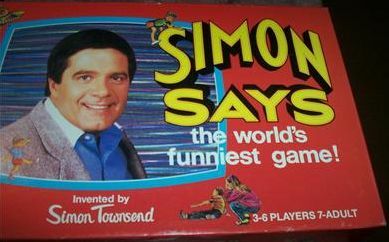 In 1985 he invented a family board game “Simon Says” which sold well for two years. Two more games “Townsend Towers” and “Mumble Mumble” may be marketed in late 2009 by games maker Crown & Andrews. Simon’s game “Soaked!” in which kids splash and spray each other to adult dismay, has never been accepted by any games manufacturer . . . But today copies of Simon Says often come up for sale on eBay. Then Simon invented a TV game. In early 1994 Simon combined with the Seven Network and Telstra to put to air a successful idea called “Cash Call”, a telephone concept in which viewers dialed in their phone numbers to databanks on the chance of winning $50,000 cash. This led to Simon’s latest and most ambitious project. It’s a fun concept that is convergence of internet, telephone, television and computers, a cyberspace form of entertainment. Details of Simon’s project are secret. Simon Townsend found a new love: teaching. He only recently retired from part-time tutoring in journalism for Cengage Learning / Australian College of Journalism. He worked as a news producer for CNN during the Sydney Olympics. In 2001-2000 he was occasional producer for personalities on radio 2GB. In 2002-2003, he worked four hours each weekday as Producer of the “Jon Harker Show” on 2UE Sydney. His daughter Lis gave birth to Simon’s second grandchild, a boy named Lenny in early 2006, a younger brother for Rex. Simon’s son Michael and his wife Emma had a daughter Lola, born in 2007 and Oliver in 2010. Simon suffered his third stroke in June 2003 but continued tutoring. Simon met his beloved wife of 27 years Rosanna in 1976, when she was assistant to Mike Willesee and Simon was Mike’s producer. Rosanna was not only Simon’s soulmate and mother of two of his children, but his business partner and co-owner of the Wonder World! production company. Rosanna died of lung cancer in 2003. Simon’s health remains okay, and he keeps busy. Today Simon regards himself as “retired”. He reads a lot, sees every new movie and fires off letters to the editor when upset by world events. This comment is not related to journalism. It is to thank you for a random act of kindness, on a train in Thailand, Christmas/NewYear 1974/5 (or 73/4). I had been held up at gunpoint by 3 men on a beach at Songkla. While husband and sons were swimming, I was holding the bag – the passports, wallets, travellers cheques, cash. Too tight a budget for hotel safes. We were hostelling. We boarded a train for Bangkok, and the Australian embassy, having raked up enough cash for the tickets. But no money for food and drinks; I was literally begging on the station. Heard an Australian accent. Yours.You provided food and drink for us all, on that stressful journey. In the days following, several people helped out, until the situation was partially resolved. But your kindness was generous, spontaneous and changed everything, at that moment. Like you, I have serious health issues. Time is precious. Your support in a crisis came to mind, while I was watching news of flood and fire in Australia. Today is a public holiday for Australia Day. I don’t remember this incident, I’m sorry. But it delighted me to learn that I did something nice for strangers in a strange land. I guess your kids are grown up with kids of their own. I’m 67 now, walk with a stick because of four strokes over the years. But I feel well, have no pain, still type and drive a car. Rosanna, my wife of 27 years’ marriage, died nine years ago. Five years ago, through my dear son Michael running my journalism site, my girlfriend Kerrie from 1962, when we were both 17, made contact, and we revived our old romance. We now live together in a lovely garden apartment in Five Dock in Sydney. I’m 44! Uncle Petes toys. Thank you for a fascinating story. Thank you even more, though, for bringing so much magic into my childhood world. Your infectious chuckle still rings in my ears more than 30 years later. Among the delights your wonderworld presented us were your boundless enthusiasm and zest for interesting and enjoyable tales. Thanks to you, I think there is still a part of me that believes anything can happen and anything is possible. You have my eternal gratitude. I’ve just watched channel Ten’s ’50 Years Young’, and I saw a snippet of Simon from the Wonder Years era. Straight away I thought I must look up Simon to see how things are going. I too have many fond memories of that show, that giggle, Woodrow and the then relatively unknown reporters who I’ve since seen and or heard in various media. I’m 44 this year, with a couple of young kids myself, and I do wish they had the same opportunity to see program’s such as Simon Townsend’s Wonder World. I have many positives in my childhood that I remember fondly, and that show is definitely one of them. All the best Simon. Great bio Simon. Every school kid should have a read – not everything one tries will be a success but if you have a few as you did you have done well. I ended up on your site from a tech article about the old VEW8 TV station (I am an ex TV broadcast tech myself).